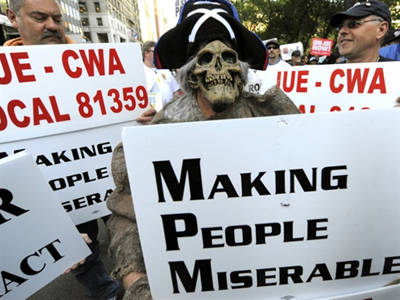 US states continue to debate anti-labor legislation, some passing harsh messages as pro-union protests intensify. 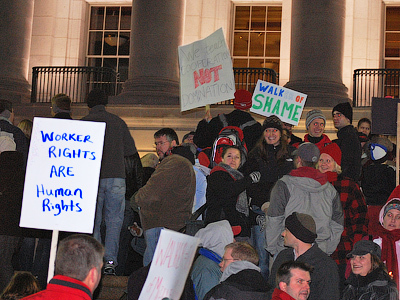 The embattled Wisconsin State Assembly continued debate on February 23 on a Republican proposal to curtail union power and eliminate collective bargaining rights in an all-night session. The debate addressed only a few of the many objections state Democrats hold against the bill. Wisconsin Gov. Scott Walker has warned state employees may begin receiving layoff notices as early as next week if the bill is not passed soon. In Indiana the state Senate approved proposed legislation that would limit the power of teachers unions, curtailing bargaining rights, despite protests across the state. The vote was 30-19 in favor of the law. A 'right-to-work' measure passed the State House of Representatives committee, but the Senate President Pro Tempore David Long has opted however to temporarily drop the legislation in the state Senate for review in committee before it heads for a vote or back to the House of Representatives. Not too far away in the state of Ohio proposed Republican legislation aims to cut collective bargaining rights for all state workers. The measure has been met with intense protests; even US Democratic Congressman Dennis Kucinich left Washington to support the union workers. “There is an atmosphere of determination, people are not going to let their rights to collective bargaining, their right to be able to discuss with their employers how much their wages should be, what kind of working conditions they have, they are not going to let those rights go way without a fight,” Kucinich told RT. Many argue the Ohio bill goes even further than Wisconsin's. Wisconsin's bill would allow collective bargaining on wages for state workers up to a limited point; the Ohio bill however outright prohibits collective bargaining in all cases for all state workers. In addition, the State legislature in Tennessee has proposed a bill that will dissolve the collective bargaining rights of the state’s teachers and proposed police layoffs in Hartford, Connecticut were met with hundreds of police marching in the streets expressing their opposition. Teachers in Idaho took to the picket line across the state angry over proposals to layoff hundreds of teachers and restrict collective bargaining rights. In Michigan, union leaders are calling on supporters to lobby against proposals that would give emergency financial managers the power to remove elected officials and break labor contracts in schools and cities. New Mexico, Montana and Iowa public worker unions have also begun to rally at their state capitals, objecting to proposed budget cuts and threats to collective bargaining rights. Union supporters in a number of other states, including New York, Rhode Island, Minnesota, Oregon, Washington, Colorado and others, have also gathered in their home state capitals to protest in solidarity with union workers across the country fighting to maintain their labor rights. 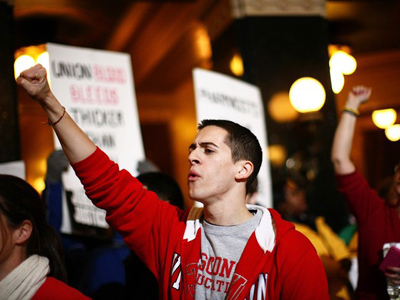 The anti-union measures have been met with intense protests across the country, having been sparked by over 70,000 protesters at the state capitol building in Wisconsin expressing opposition to the anti-union bill, many sleeping in the capital for multiple nights. Protests have caused delay in major cities, including school closures due to teachers hitting marching on the capital instead of showing up to work. 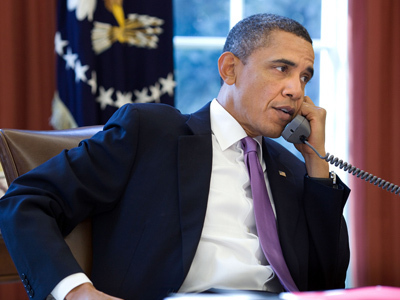 Pro-union organizations nationwide, including MoveOn.org and the SEIU, are calling for protests in every state capital on February 26 to show national opposition to anti-union measures.